My colleague, Scott McKenzie, wrote a blog in December entitled ‘Santa’s Black Friday Bargains’. Sticking with that theme, I have been examining a sector very much out of favour at present but one where the fundamentals look solid. That sector is house builders. At first glance it is easy to put forward arguments as to why investors should eschew the sector: weak consumer confidence, an end to low interest rates or, heaven forbid, ‘Brexit’! Having outperformed the market consistently for the previous five years, housebuilders underperformed in 2016, returning -19% versus a 17% increase in the FTSE All Share (Total Return). It could be argued that profit-taking was a factor but, without a doubt, a move away from domestic, UK cyclical stocks into the larger, multi-national FTSE 100 companies played its part. Before going on to discuss the rationale for our positive view of the sector, let’s try and rebuff the bear case for not investing in the sector. Firstly, is consumer confidence really so bad? The data, up to this point at least, shows the UK consumer is still feeling relatively upbeat about life which flies in the face of the weakness of share prices. Crucially, the employment rate is at an historic high. Secondly, interest rates, as we all know, are at historic lows and will have to rise at some point. That said, when they eventually do start to increase (which we believe will be some time away), it is likely this will happen in a measured way. It is often the case that it is cheaper to buy than rent if the minimum deposit can be raised. Even with increasing rates, that is not likely to change. Lastly, the great unknown, and the reason most often trotted out by bears of the sector, is the result to leave the European Union. At present, it is impossible to know which form Brexit will take but what shouldn’t be overlooked is that the majority of those who voted opted to leave. As far as those individuals are concerned, they got the result they were looking for and, therefore, it is business as usual. Now that the bear case has been examined, it’s time to put forward the case for the defence. We continue to see upside in UK housebuilders due to the combination of strong demographics, poor historic supply and unprecedented Government support to name but three. When you factor in modest valuations and strong balance sheets, it is clear as to why our view differs from many others. Government target is for 250,000 new homes to be built every year but output between 2004 and 2014 averaged 160,000 and last year somewhere between 170,000 and 180,000 homes were constructed (see below for quoted sector completions since 1997). This chronic shortage of stock will not be rectified for quite some time. The UK Government is keen to get more of its citizens onto the housing ladder and, consequently, there has been unprecedented support for the industry. Their flagship policy is ‘help to buy’ where the Government will lend up to 20% of the cost of the property (40% within London), leaving first time buyers only requiring a 5% deposit. Additionally, no fees are charged on the Government’s portion for the first five years. 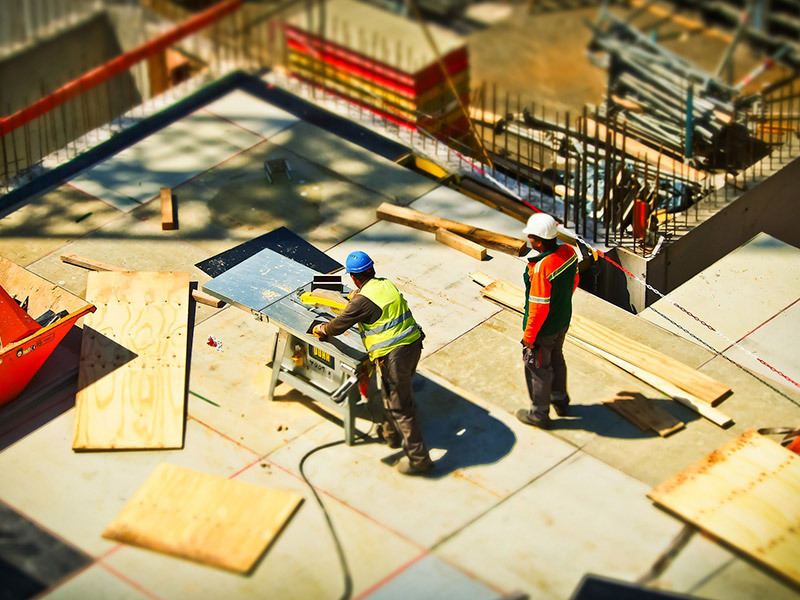 Local authorities are shortening the time taken to approve planning permission for new homes and this, allied with land prices falling over the last three years, is helping to maintain the margins for builders. There is little competition at present for land due to the length of the existing land banks held by companies (on average 5.4 years) with no sign of the pricing situation changing. The last factor which is crucial in maintaining our positive position towards the sector is the ratings of our stocks. We have three house builders in the UK Alpha portfolio – MJ Gleeson, Berkeley Group and Galliford Try. The chart below for Berkeley Group shows earnings estimates over the course of the last year (in red) versus the performance of the shares (in blue). It is clear to see the share price has materially lagged earnings. Although our three stocks reside in the same sector, they are very different companies. At one end of the spectrum is MJ Gleeson, the North of England, affordable house builder. At the other is Berkeley Group, focused on the mid to high-end South East of England market. In between the two lies Galliford Try. Each of the companies shares some common traits – modest ratings, strong balance sheets, high dividend yields and impressive margins. If, as we believe, these stocks can navigate the next twelve months without any problems, a re-rating from current levels should be achievable.